Department of Philosophy, University of Amsterdam. Deadline for applications: January 8th 2018. Faculty of Philosophy, University of Groningen. Deadline for application: January 14th, 2018. Faculty of Technology, Policy and Management, Delft Universtiy of Technology, deadline for application: January 22nd, 2018. 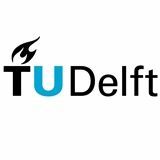 Faculty of Technology, Policy and Management, Delft Universtiy of Technology, deadline for application: December 5th, 2017. Philosophy Department, Eindhoven University of Technology, deadline for application: November 2nd. 4TU.Centre for Ethics and Technology, University of Twente. Application deadline: July 16th, 2017.